Aquarium cleaning service on this large bow front aquarium we recently renovated. 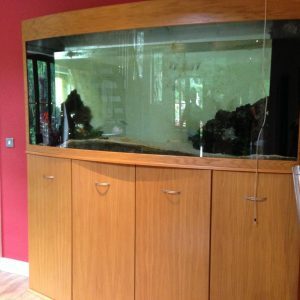 The tank contained rather grubby rocks and required a full overhaul of its filtration system. Due to the large number of Malawi cichlids housed in the tank, a great deal of waste is produced. Therefore, following our advice, this client agreed to swap one of the small filters to a much bigger unit. This will improve water quality both visibly and for the fish. After years of use, a filters pump may become tired and so it makes sense to replace the filter for a brand new unit. Here, we use a larger filter than required. Water flow from a large filter pump is reduced using a valve whilst still giving adequate water turnover, but benefitting from a larger media capacity. 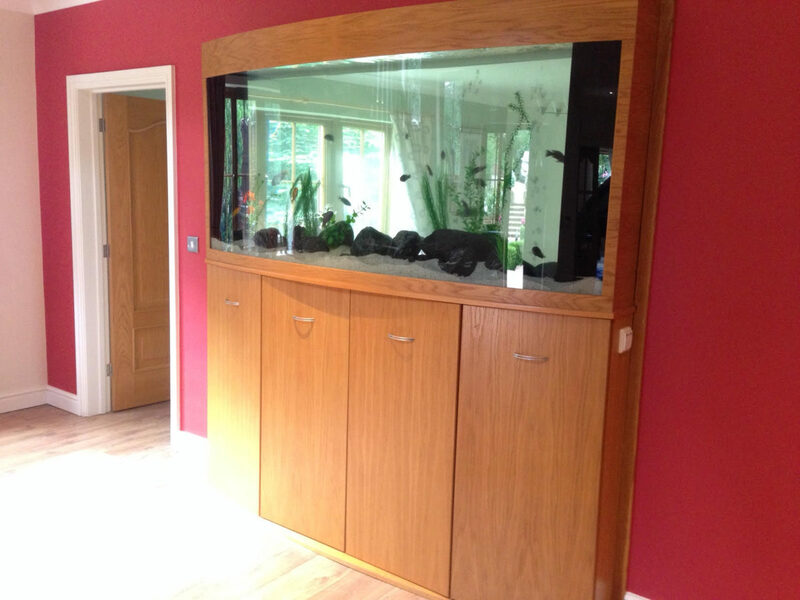 Ocean Life Aquatics is a specialist aquarium services provider for bespoke fish tanks. 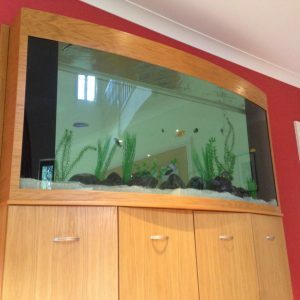 From new projects requiring our aquarium design and maintenance service to existing tanks requiring overhaul and refurbishment. We cater for all types of aquaria including freshwater or saltwater aquariums. Furthermore, large projects benefit from our consultation service where the feasibility of project may not be clear.